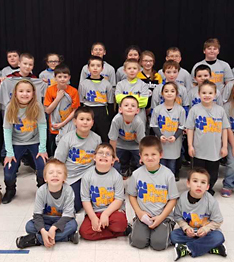 Here you’ll find all the latest news from Otto-Eldred Elementary School—everything from important notifications to fun articles and upcoming event details. Check back often! PSSA testing for students in 3rd through 6th grades will take place in April. Please ensure students get a good night's sleep and eat a healthy breakfast. We appreciate your encouragement and support of our students! Otto-Eldred Elementary School will be holding summer school for kindergarten through 5th grades. Teachers may be contacting parents to suggest summer school. If you have an interest in your child attending, please speak with your child's teacher. Otto-Eldred School District will again be participating in the National Summer Feeding Program from Monday, June 10 through Thursday, August 1. Please visit our Food Services page for times, locations, and menus. Are you having trouble getting your child to school? Are you looking for ways to increase communication with your child? Are you looking for ways to help your child deal with bullies? Does your child complain that he/she does not like school? Are you frustrated with your child's behavior? The Truancy Mentor nurturing parenting program is an evidence-based program. Research shows that served families demonstrate significant improvements in parent and peer relationships, communication, problem-solving skills, academic success, school attendance, and compliance to rules and regulations. Families reported increased communication, bonding, and reduced stress. The nurturing parenting program is free for all McKean County families. Contact the Bradford Family Center at (814) 362.1834 for more information.